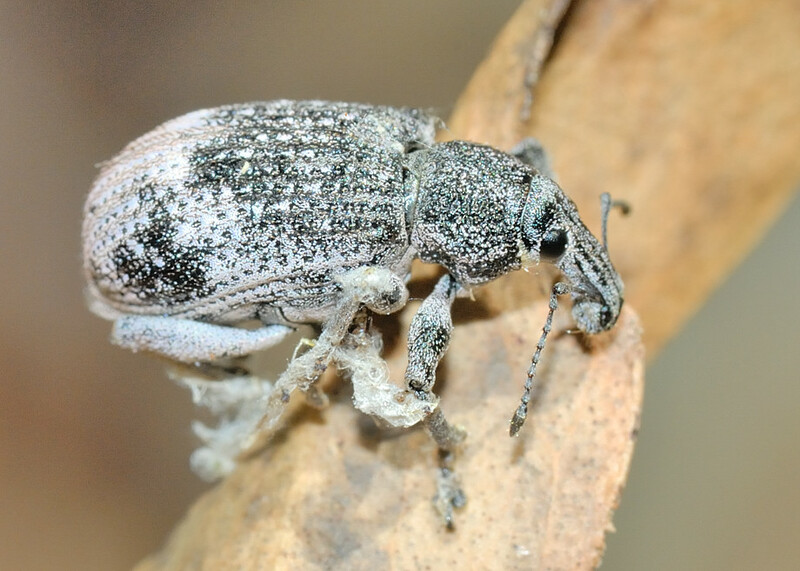 Grey Gum Tree Weevil - Pelororhinus sp. 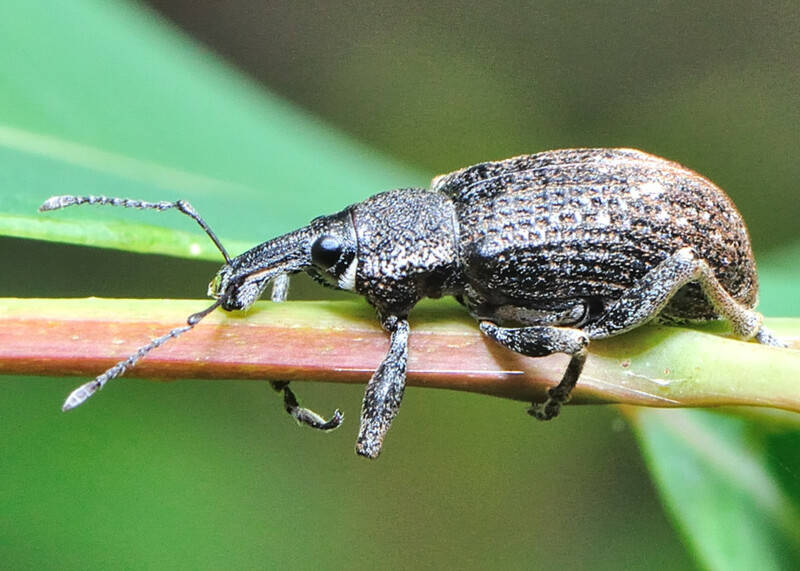 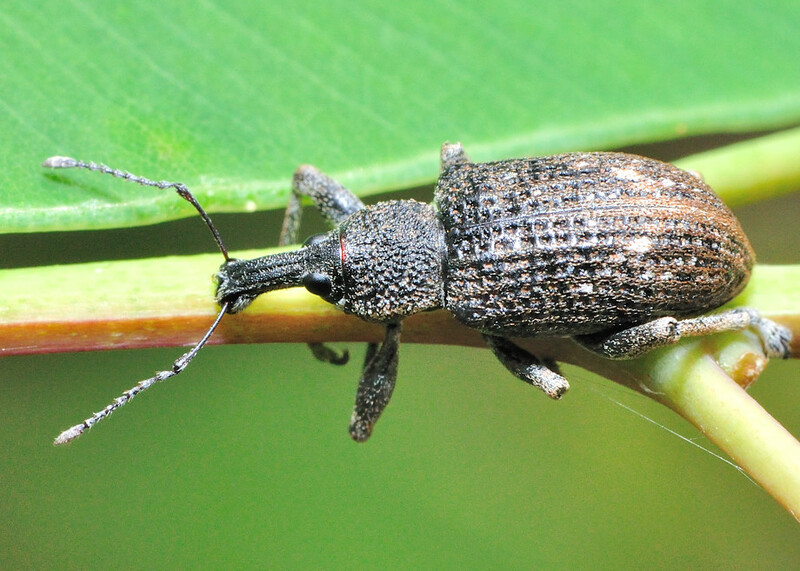 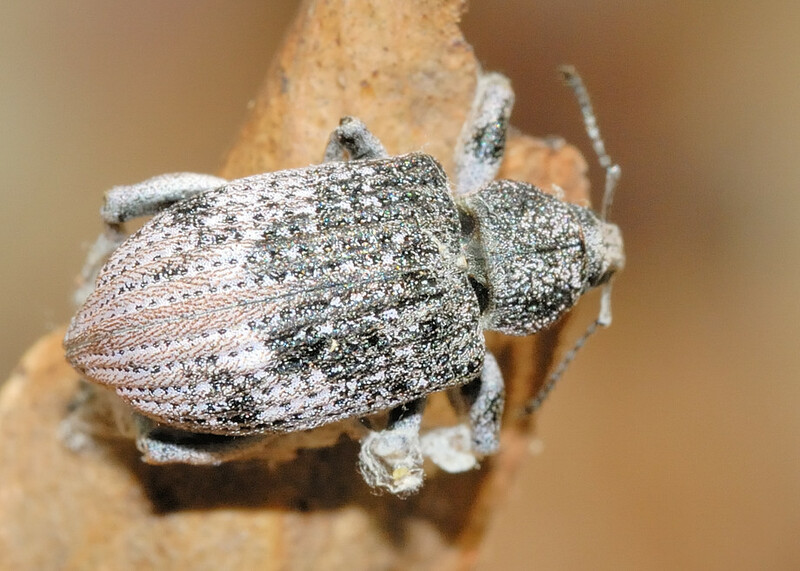 This page contains information and pictures about Grey Gum Tree Weevils that we found in the Brisbane area, Queensland, Australia. 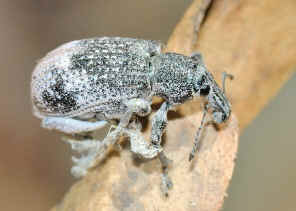 This weevil was always found on gum tree leaves. We found them a few times in Karawatha Forest and not in other area. 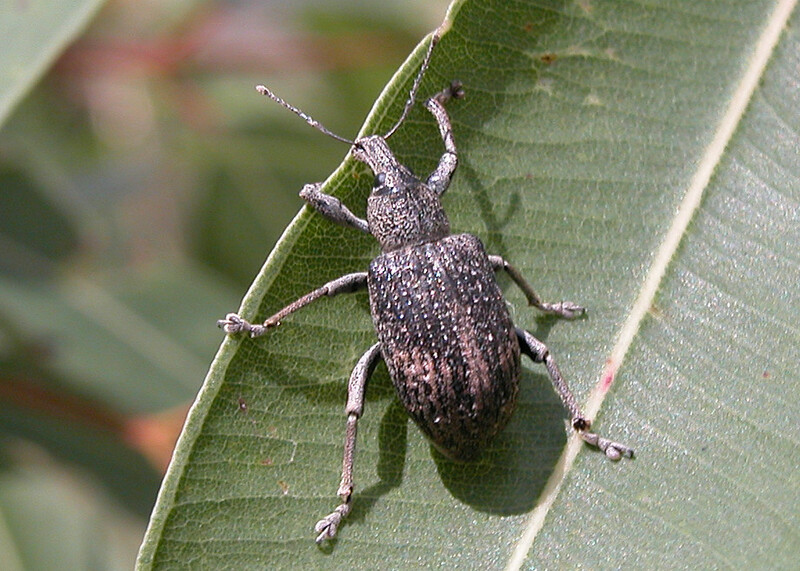 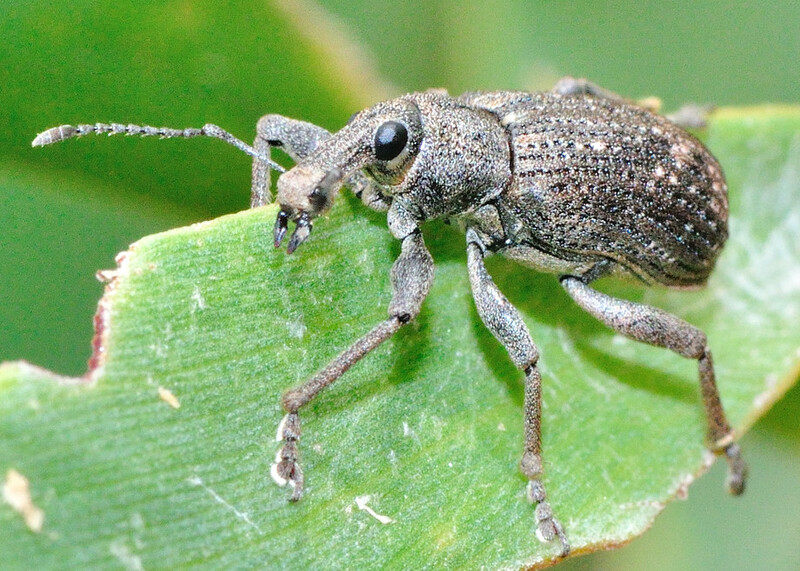 We first found this weevil in Karawatha Forest on Dec 2004. The weevil can also be found in Carbrook Wetland. 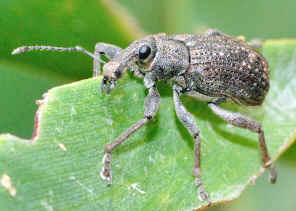 We took the above photos on Mar 2010. 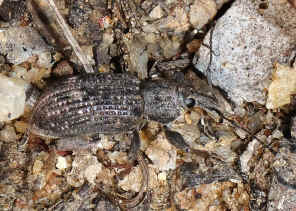 We also found it in Karawatha Forest near Lagoon on Dec 2010. Above photos were taken in Karawatha Forest near Lagoon on Dec 2008.